Liam Boyce's hat-trick swung a pulsating Highland derby Ross County's way as they defeated Inverness 3-2 in the Ladbrokes Premiership. 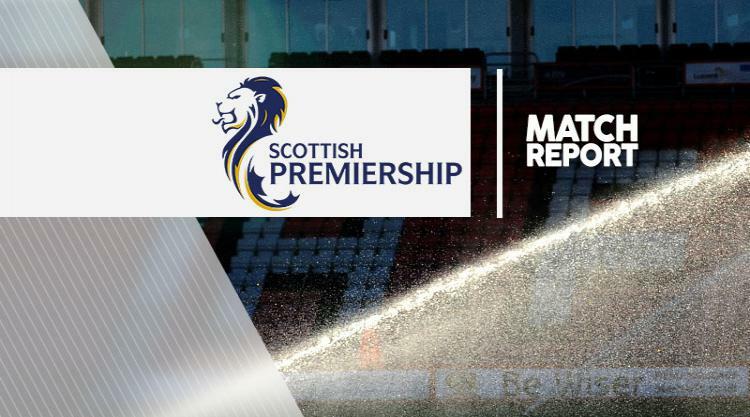 Boyce netted twice in the first half and once after the break and despite Scott Boden and Ross Draper replying for Inverness, the Staggies held on to claim their first three points of the season. The game was played at a frenetic pace throughout, with the Dingwall club dominating the first period and Caley Thistle ending the game bombarding the County box with long balls. However, Boyce's heroics left the home side with too much to do, with County claiming the local bragging rights. Inverness boss Richie Foran made one change from the side that exited the Betfred Cup on Tuesday night, with Draper replacing Jake Mulraney. Visiting manager Jim McIntyre made three alterations, dropping Kenny van der Weg, Alex Schalk and Brian Graham and bringing in Erik Cikos, Richard Foster and Craig Curran. The unlilkely source of Cikos provided the first opportunity, cutting inside on his left foot and testing Owain Fon Williams. But following Boden's header, which was clutched by Scott Fox, County went up the opposite end and took the lead as an unmarked Boyce flicked in Craig Curran's cross. After an injury to Kevin McNaughton disrupted the Caley Thistle system, the hosts were shocked further when Boyce doubled his tally. Foster's diagonal pass picked out Boyce perfectly and he cut back inside, leaving David Raven on the ground, before firing past Fon Williams. Inverness looked shell-shocked in the first half, with County pressing high and not allowing them to settle into any kind of rhythm. Another giveaway by the hosts nearly led to a third goal, with Fon Williams getting down well to hold on to Curran's shot. The hosts, fortuitously, got themselves a lifeline before the break. Draper's ball over the top found Boden in the penalty area and referee Andrew Dallas appeared to blow the whistle for offside. Andrew Davies took the ball off Boden and it angled into the far corner, but County players had stopped. However, the linesman had kept his flag down, Dallas reversed his decision and the goal stood. Any momentum Inverness thought they were building up was killed off by Boyce two minutes into the second half. Christopher Routis' free-kick picked out Boyce, who beat Gary Warren to the ball to head home. Draper dragged Inverness back into the contest further in the 65th minute with a superb volley from the edge of the area. Suddenly the hosts had life, as Cikos cleared an Iain Vigurs header off the line and Mulraney fizzed a shot just over the top. Greg Tansey saw a goalbound free-kick blocked but it was too little, too late for Inverness as County sealed their first league win over their neighbours in more than two years.